Sunday brunches have a very special place in our hearts because it is the most important meals over the weekend; bigger than breakfast and more enticing than lunch, there is really nothing not to love about a good Sunday brunch. Nestled in Mandarin Oriental, Singapore, Melt Café is one of the best choices if you are in the Marina Bay area. 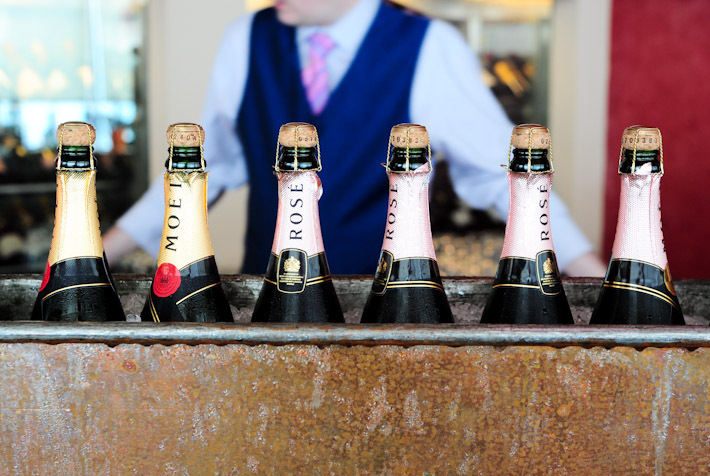 Their Sunday Champagne Brunch is simply out of the world—we are talking about endless gourmet food, including bubbles and fun in-house entertainment for everyone in the family. 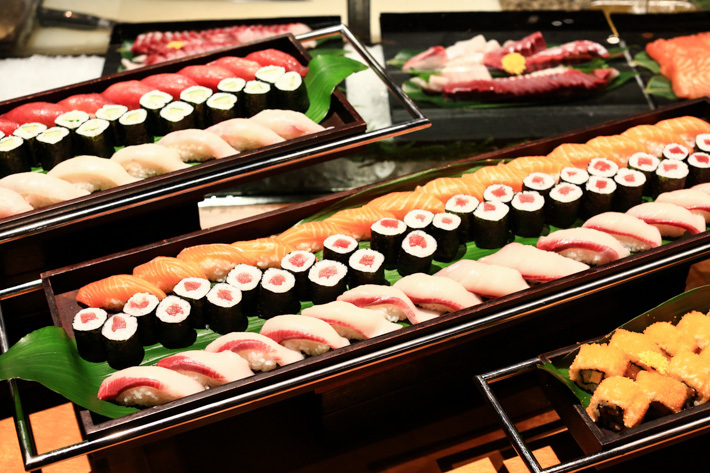 From fresh oysters of different varieties, premium sashimi from the Japanese counter, a carving station that will satisfy the carnivores to their ever popular Indian cuisine and an outdoor barbecue grill, this is one champagne brunch that is deserving of an encore. Food Exchange really epitomises the notion that brunch need not be stodgy to be immensely satisfying—just good quality ingredients executed properly. 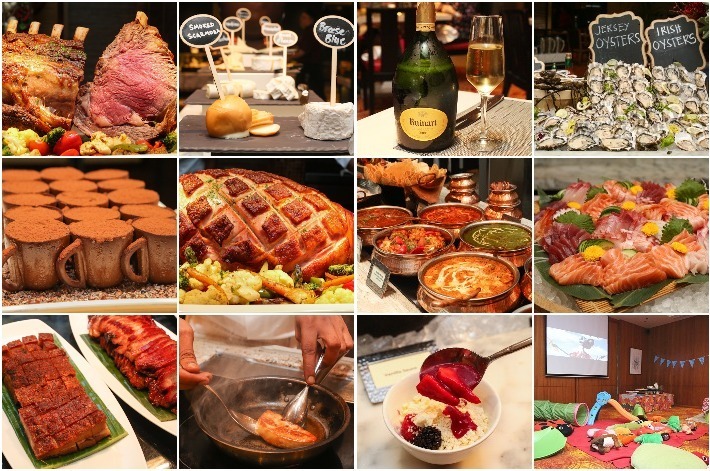 This Sunday Brunch is available at S$78++ per person; should you wish to further amplify your meal, a nominal top-up of S$50++ will entitle you to free-flow Moet Chandon champagne, red, white, rosé wine and draft beer. Sunday brunches are a costly affair, but here’s the thing: what if we told you we have a special price for our readers? Simply quote ‘ladyironchef’ upon making your reservation to enjoy the Sunday Brunch at S$120 for two pax that will run from now all the way until 25 February 2018! Do note that this promotion does not include alcohol, you can top up S$50++ per pax for free-flow alcohol. Prego at Fairmont Singapore is one of the most reputable Italian restaurants in Singapore, and they are known for signature Italian favourites such as wood-fired pizza. 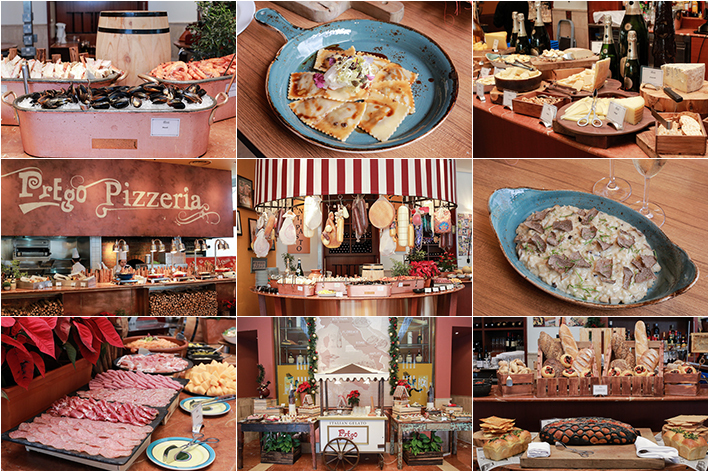 But what we truly love is the all-new Italian Sunday Brunch Buffet—one of the best indulgences if you have a hankering for Italiano-everything. Prego’s head chef Antonio Facchinetti and his team have introduced a whole new gastronomic experience and the Italian Sunday Brunch happens every Sunday from 12pm to 3pm. It is a massive showcase of Italian fiesta, from cold cuts and premium cheeses to a la minute pasta and grilled meats. 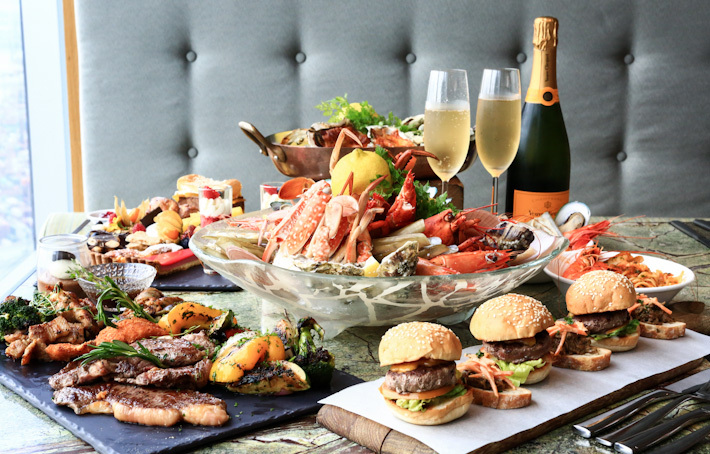 Sundays are a great time to gather with your friends and family; Sundays are fun days to tuck in to mezza9 at Grand Hyatt Singapore’s immensely popular Champagne Brunch that features a galore of international cuisines. With Perrier Jouët Champagne, no less. You have no idea how our eyes are always drawn to the fresh seafood section of Maine lobsters, French oysters and king prawns every single time we step in to mezza9 on Sundays. Beyond that, what never cease to amaze us are the eight other stations, each presenting a cuisine of the world. From European fare to Chinese roast meats to Japanese delights, there is certainly something for everybody here. It is little wonder mezza9 is one of the best places in town for Champagne Brunches. Here are 10 Reasons to Love mezza9 at Grand Hyatt’s Sunday Champagne Brunch – a meal fit for the royalty. 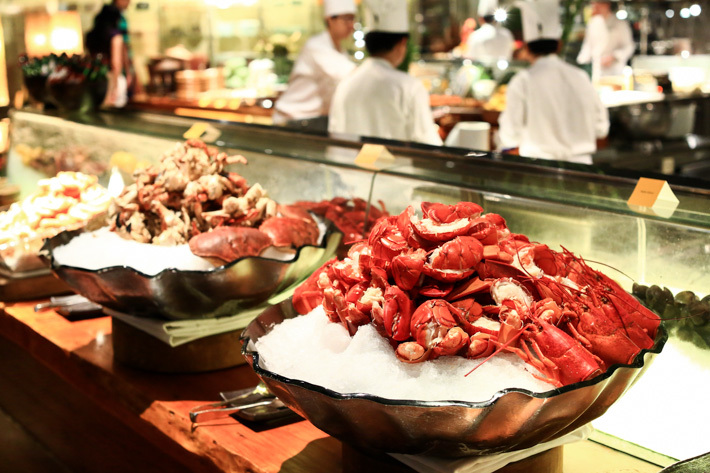 Sunday’s the day for you to unwind and what better way to spend it than with The Westin Singapore’s Lazy Sunday Lunch Buffet at Seasonal Tastes? 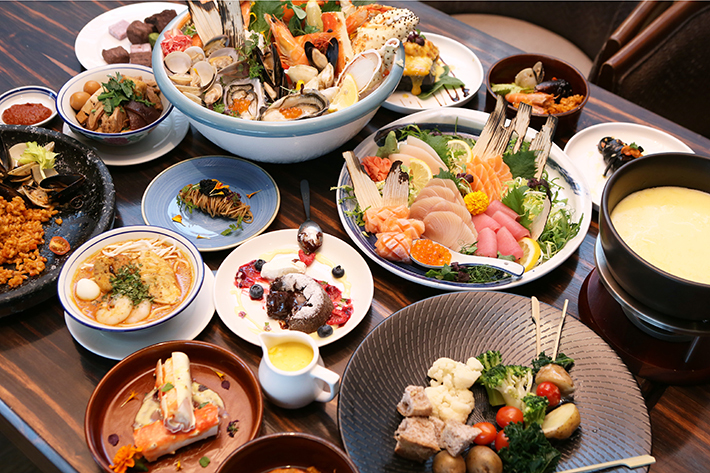 Choose from a wide array of fresh seafood, grilled meats and even a live pasta and noodle station. Start your buffet at The Westin Singapore off with a range of artisanal cheeses that includes brie, mozzarella, cheddar and unique selections like the Wensleydale Cranberry Cheese. Head on to the cold-cuts section after having a pick of the cheeses and choose from meats like beef brisket, salami, pastrami and other ham cuts. 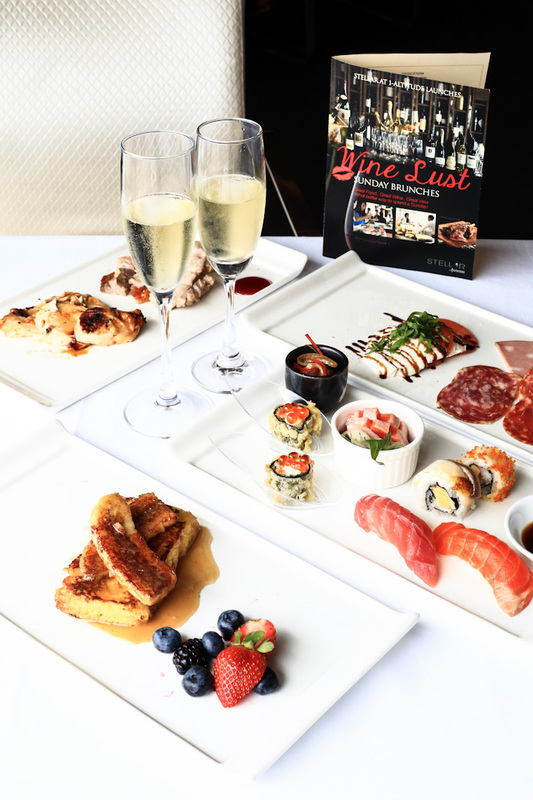 French toast, smoked salmon benedict, sushi, salami, truffle pasta, slow roasted wagyu rump, roast duck, free flow of wines and sparkling, and a tasting table with more than 10 wine labels from around the world… Now, that is one brunch that is worth waking up to. Stellar at 1-Altitude (www.1-altitude.com) has recently launched its new Wine Lust Sunday Brunch. Be spoilt with the enthralling selection of live stations plus specially crafted dishes that are served to the table, and dine at the highest vantage spot in Singapore with a million dollar view of the city’s skyline. If this is not an ideal way to spend Sunday, we don’t know what is! With Valentine’s Day just round the corner, you may be looking for a romantic dining spot to impress your date. 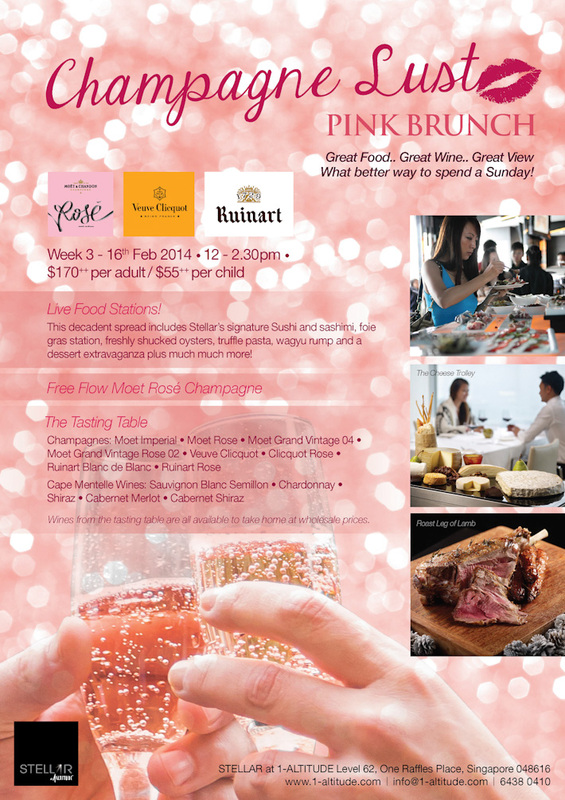 We would recommend Stellar’s Champagne Lust Pink Brunch (more on that at the end of the post), which is a special party on 16 Feb. But first, allow us to share with you the highlights from Stellar’s Wine Lust Sunday Brunch. Sunday is perfect when you have an unlimited flow of champagne and wines accompanied by freshly shucked oysters, seafood, roasts, and desserts. 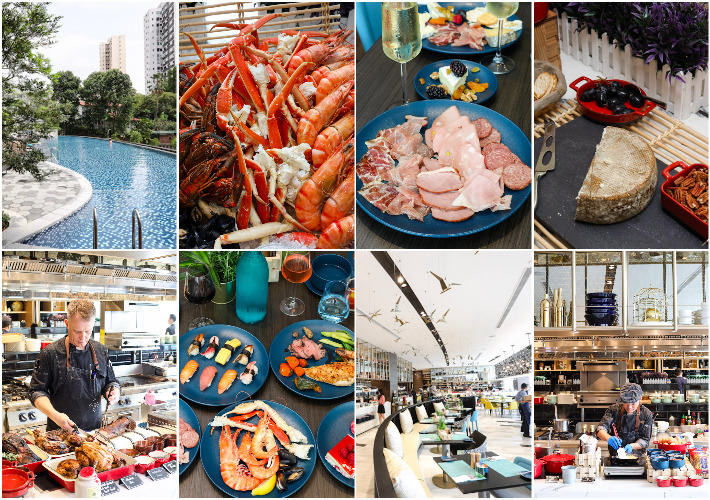 From dining at the top of the world to lavish brunch buffets with free-flowing booze, we select some of the Best Champagne Brunches in Singapore.